Recent survey shows that insurance CFOs are more likely to embrace new technologies. The insurance industry is data rich and benefits from comprehensive processes and projections. This makes it the ideal industry for technical intervention. Insurance CFOs agree. 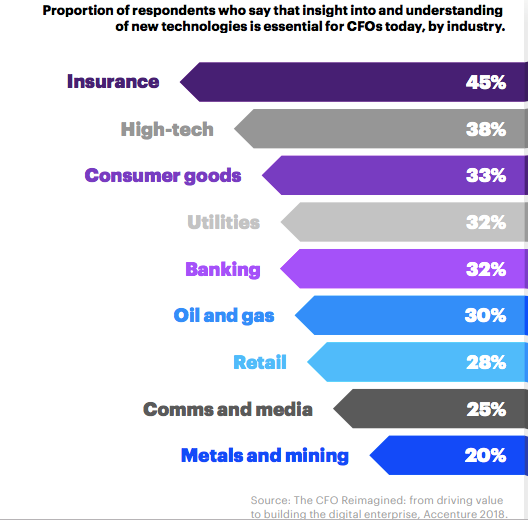 In our recent survey, “The CFO Reimagined: from driving value to building the digital enterprise”, insurance CFOs were more likely than their peers in other industries to believe that insight into new technologies is a key requirement for their role. In fact, 45% were more likely to set aside the time to explore the impact of new, disruptive technologies on the business. Yet no matter how interested insurance CFOs are in technology, there are a number of formidable barriers that can inhibit technological innovation within a business. Cost: The cost of new technologies, however relevant they may be, can be prohibitive, especially if the technology is new and its worth is unproven in the market. The projected return on investment could also be insufficient. When CFOs examine new technologies they understand that the investment comprises not only the cost of the technology itself, but the time-cost of onboarding the business. For this reason, the process of driving innovation can be slowed or even halted. Information security: In our survey, respondents in insurance were more likely than those in other sectors to say that information security is a principal barrier to taking on the automation tools that would free up time and generate revenue in the business. This caution over security also applied to technology such as cloud solutions, which are key to digital transformation. Advanced analytics, which requires super-computing power, works best when applied through cloud services. Therefore, cloud services should become the norm rather than the exception in insurance, and any hesitance over the technology could hinder data analysis in insurance in the future. However, once insurers overcome these risks and introduce new technologies into their businesses we will see the start of a new era for CFOs, one in which they will be challenged as never before to translate data into financial impact. 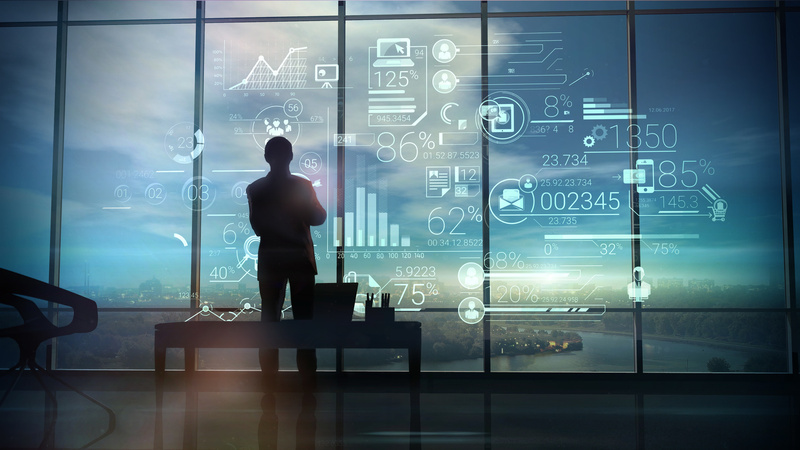 In the next article of this series I will discuss the trend towards finance taking ownership of data, and the skills set CFOs will need to rise to the challenge. In the meantime, download the survey to read more about how CFOs in insurance feel about technology. If you would like to discuss ways to champion technological innovation in your business in a strategic manner, please contact me anytime.